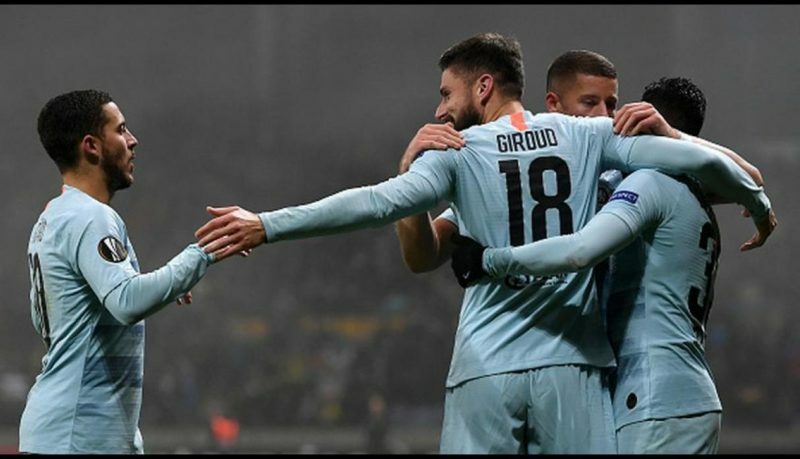 Chelsea boss Maurizio Sarri was unimpressed with Chelsea’s ponderous Europa League performances against Belarusian giants FC BATE Borisov, regardless of a 1-0 win securing the Blue’s passage to the knockout phase of the competition. Olivier Giroud‘s first goal in 794 minutes of club football was one of few highlights from lethargic performances that could well have cost the Premier League side. The host were denied by the woodwork three times, including once in stoppage time as they went within inches of securing a point in cold conditions. Chelsea, at last, clung on to move up affirming their status as group L Leader, in spite of the fact that Maurizio Sarri was left concerned.